Jarryd Baines was named Assistant Wide Receivers Coach and Offensive Quality Control of the Tiger-Cats March 1, 2018. He originally joined the organization April 7, 2016, and was appointed to the position of Offensive Quality Control. Prior to joining the Tiger-Cats, Baines spent two seasons with the Saskatchewan Roughriders, serving as a Defensive Quality Control Coach in 2015 after working as the team’s football operations intern in 2014. 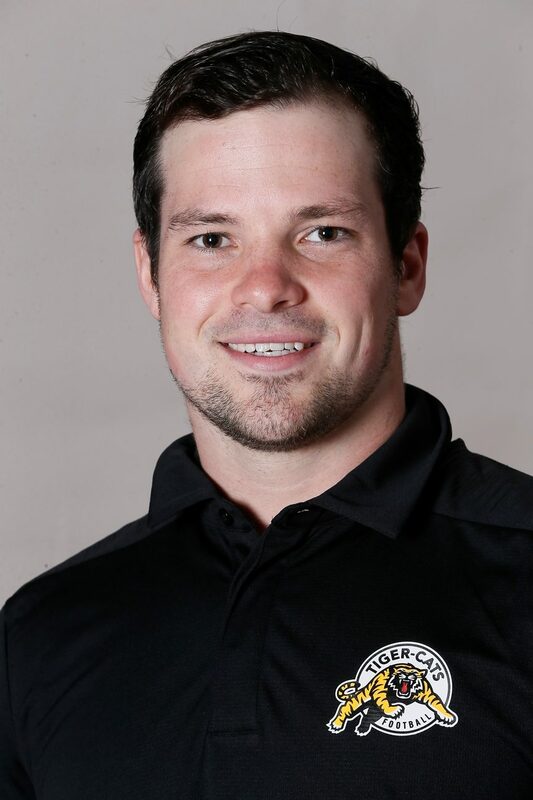 As a football operations and officiating Intern for the CFL in 2013, he coordinated the first league-wide player participation records and consulted with Football Canada to construct their Safe Contact video series. The Ottawa, Ontario native began his off-field football career with the CanadaFootballChat.com website as registrar for their Burlington Coaches Clinic in 2013. Baines played 32 games at linebacker over five years (2008-12) at the University of Guelph under Kyle Walters and Stu Lang. Throughout his CIS career, Guelph’s 2012 Team Captain and Defensive Player of the Year posted 128.5 total tackles, five quarterback sacks, three interceptions and seven fumble recoveries. Baines graduated with a bachelor of arts in international development in 2012.